So what’s changed in the ten years between photos? Let’s see, Choice One has gained about 25 new employees (112% of which are named Ryan, Brian, Jeff, or Michael). We opened the Loveland and Portland offices, thereby infiltrating more of Ohio and Indiana with our green shirts and bad singing. And we finally got Tony to semi-retire, meaning he’s out of the office more permanently than just the occasional two-month bike trip. 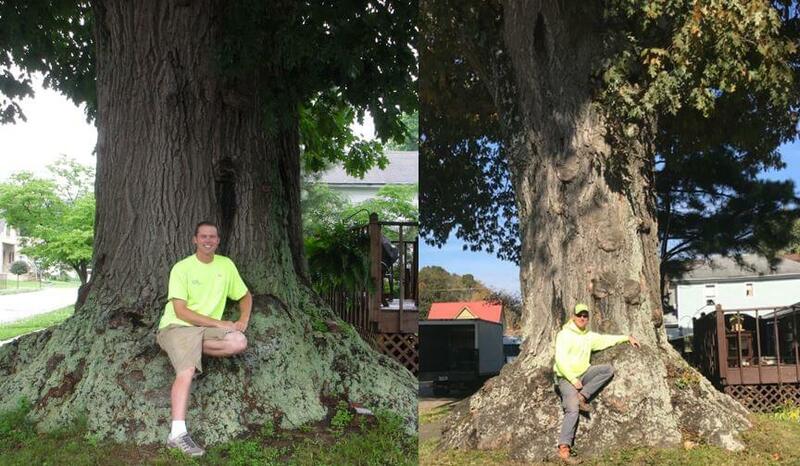 We can’t count the rings on this magnificent tree (it’s located near the Ohio River in Middleport, Ohio), but it’s definitely older than Choice One itself and most likely older than all of our surveyors combined. It has surely seen a lot of changes in its life, including the growth of Choice One and its employees. So who really wore it best? That’s easy: the tree.